On June 12th, 1999, the day came for a 230 mile two day motorcar excursion. 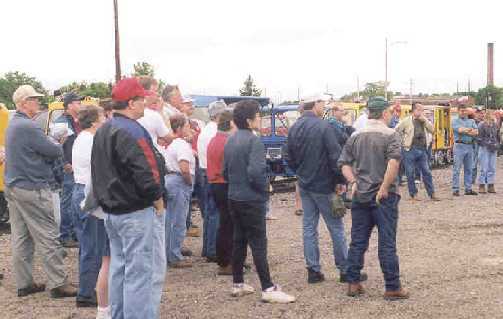 This excursion was sponsored by "North American Railcar Operators Association" (NARCOA). Pat Rock of North Central Railcars was the event coordinator this year. I would like to thank Pat and the people who helped make this trip possible. Many months of planing goes into an event like this and without the dedication of the coordinators, we could not even attempt this type of activity. 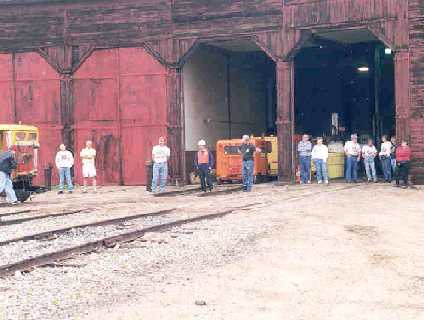 We set on in Rhinelander, Wisconsin at the Wisconsin Central engine house. It was a cool morning for this time of year, but that was not as much of a problem as the rain we have had during some other events. 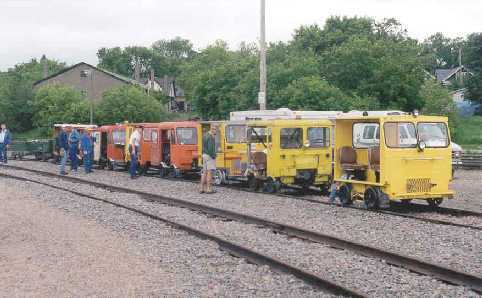 About 22 motorcar operators showed up with their passengers, one operator even brought his hy-rail truck. 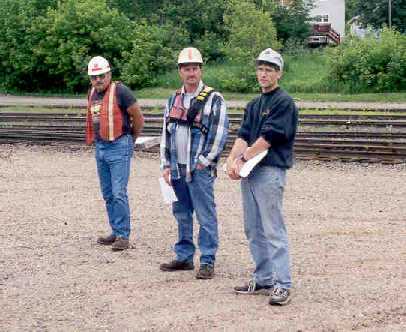 Wisconsin Central Railroad supplied us with two escorts, Max at the head of the pac and Norm brining up the rear. A special thanks goes out to Max and Norm for volunteering "extra duty" to insure us a safe and enjoyable ride. 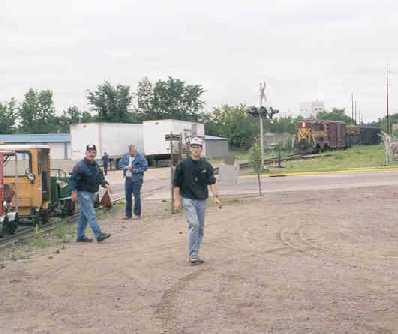 Both men drove Hy-rail vehicles and were very helpful.